One of the fun things about CrossFit is that the workouts are constantly varied. One of the sad things about CrossFit is that some of their “named” workouts are named after Fallen Hero’s, who died protecting our freedoms. It seems like there are being more and more “Hero WODs” created, and each one brings an unpleasant reminder to us all that the rest of the world doesn’t get the rights to choose the way we do in life. I was talking to a friend about this the other day, and said how since I started CrossFitting, I have become noticeably more actively aware of how proud and grateful I am to be an American, and more and more thankful for our men and women in all of the Armed Forces and Law Enforcement Officers for helping to keep us safe and live the lives we live. Anyways, enough about that, I just wanted to share my take on that. 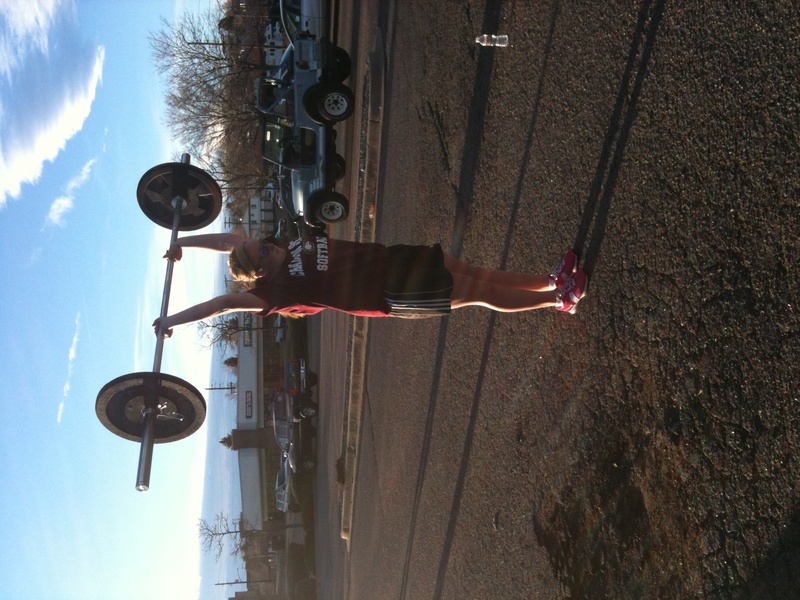 Today also marked the first ALL OUTSIDE workout of 2011 at CrossFit Lakewood (at least that I’ve been a part of)!!! The workout today came from CrossFit Main Site and was another new Hero workout. It was heavy “ground-to-overheads” and a lot of running. By a lot, I mean 2.5 miles. That is the most running I think I have ever seen in a single CF workout, so personally, I was even a little nervous going into it. 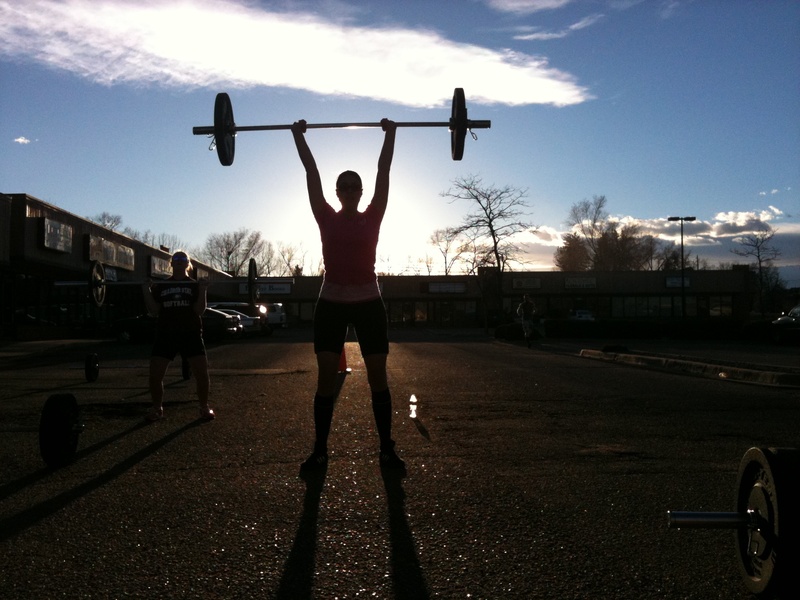 Just another beautiful night at CrossFit Lakewood! Alon- First workout ever using the Clean and Jerk lift. It looked good, too! Will- Just destroyed the run… his first mile was SUB-5:45, I think. SO fast. Casey- Her first mile to start the workout, was the fastest timed mile she had EVER done. Yeah, PR! !